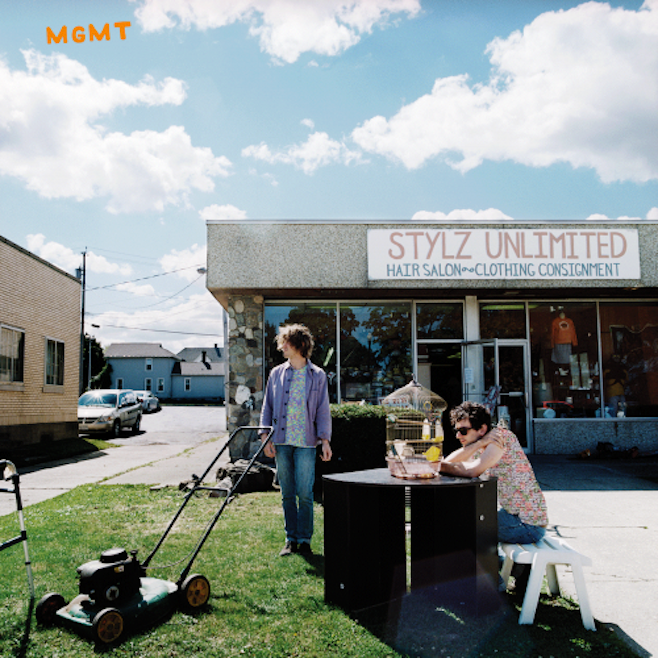 Home » Posts tagged "MGMT"
MGMT is MGMT‘s third record. One of my professors used to say, “Some books you read. Some books read you.” I think this is a record that is going to read a lot of people. It certainly read me. Honestly, the reason I picked it up was I saw so many reviews that were basically “what is this weird quarter-life crisis nonsense??! !” which as it turned out were right, in a way. The songs are more introspective – there is actually a song called Introspection, which I love – and do grapple with more adult topics, specifically, the alarming sensation of being an adult, and all of it is filtered through a musical fun house mirror. Here are three songs from the record, all of which are very good. I decided to share them in video form because the videos are also aggressively weird.